(CN) – A 20,000-acre blaze in Northern California is rapidly spreading, prompting widespread evacuations and underscoring how there is no such thing as a fire season in the Golden State anymore — wildfires can happen anytime of the year. 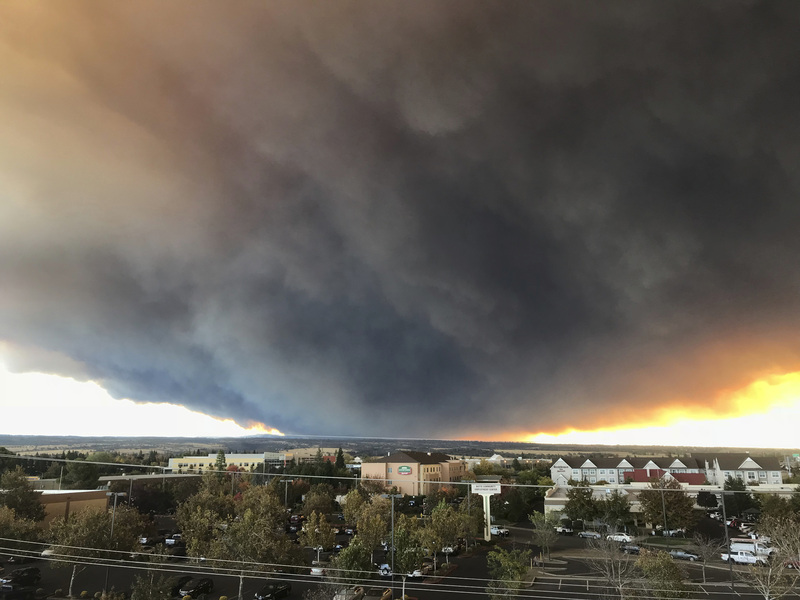 More than 27,000 people have been ordered to evacuate the town of Paradise, California, as the Camp Fire continues to use steady winds to spread in the surrounding foothills of Butte County. By Thursday afternoon authorities said the fire had exploded to 17,000 acres, and by Friday it had grown to 20,000. Residents of the town of Pulga and the surrounding rural areas have also been ordered to evacuate. Officials have set up evacuation stations at the Butte County Fairgrounds and other areas. No injuries or fatalities have been reported and no cause has been determined. The fire comes after a long arduous summer for firefighters battling multiple blazes across the state. Typically California, which has a Mediterranean climate featuring dry summers and wet winters, can breathe a sigh of relief as it enters the month of November. But not so anymore, as extensive droughts and dry conditions in the underbrush have extended the fire season well into winter. 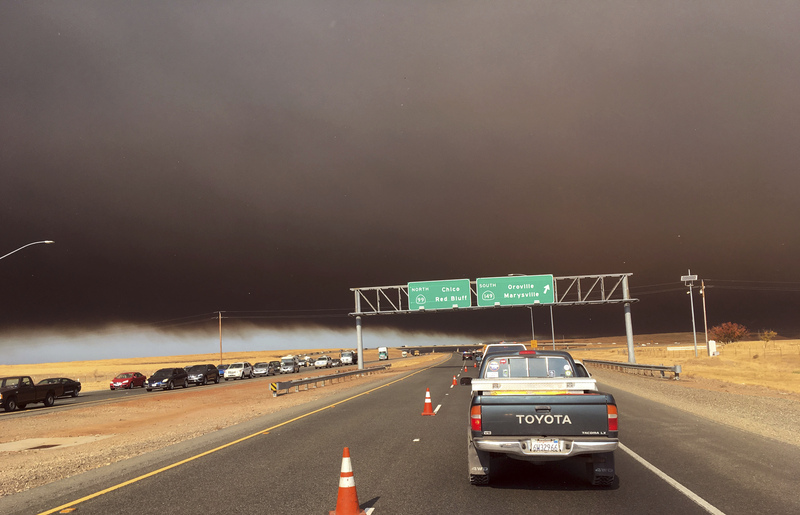 Meanwhile, a fast-moving wildfire fanned by Santa Ana winds has closed the 101 Freeway in Southern California. It’s so far charred between 8,000 to 10,000 acres. The Hill Fire in Ventura County is burning about 15 miles west of Thousand Oaks just a day after a gunman killed 12 people at a bar and grill. Several school campuses and neighborhoods have been evacuated in Ventura County due to the fire, according to the sheriff’s department. The blaze is burning west toward the Pacific Coast on 20-25 mph winds. The Ventura County Fire Department said the fire started around 2 p.m. Wednesday. Last year, strong winds and dry brush fed the Thomas Fire, which grew to be one of the state’s largest wildfires.